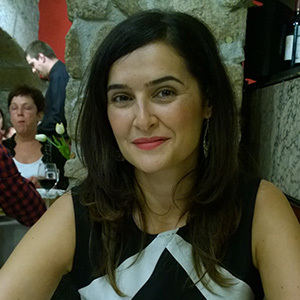 Marta Prado is the group leader of the Food Quality and Safety (FQ&S) research group. Marta Prado got her advanced degree in Food Science and Technology in 1999 from the University of Santiago de Compostela (Spain). On 2005 she obtained her PhD from the same university in the program of Nutrition, Bromatology and Food technology. Between 2005 and 2010, she worked at the Institute of Reference Materials and Measurements from the Joint Research Centre of the European Commission (EC-JRC-IRMM) in Geel, Belgium as a Scientific Officer. She participated in several national and European research projects and she has coordinated an exploratory research project. From November 2010 Marta works at the International Iberian Nanotechnology Laboratory (INL), where she currently leads the Food Quality and Safety Research Group (FQ&S). Her research interests are the development of new, fast and reliable detection methodologies combining molecular biology and nano- and microfabrication technologies. Prado, M. ; Boix, A. ; von Holst, C.
Food Control 2013 34: 19-23. Prado, M; Espiña, B; Fernandez-Argüelles, M. T.; Diéguez, L.; Fuciños, P.; Vial, S.; Oliveira, J.M. ; Reis, R.L. ; Boehme K.
Prado, M.; Ortea, I. ; Vial, S. ; Rivas, J. ; Calo-Mata, P. ; Barros-Velázquez, J.
Vial, S., Nykypanchuk, D.; Deepak, F.L. ; Prado M.; Gang O.